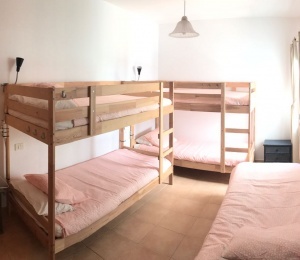 Surf Camps in ZooPark Famara were designed for you to learn this legendary sport in the fastest and safest way, while having the best time surrounded by fellow adventurers and the spectacular beauty of the island. 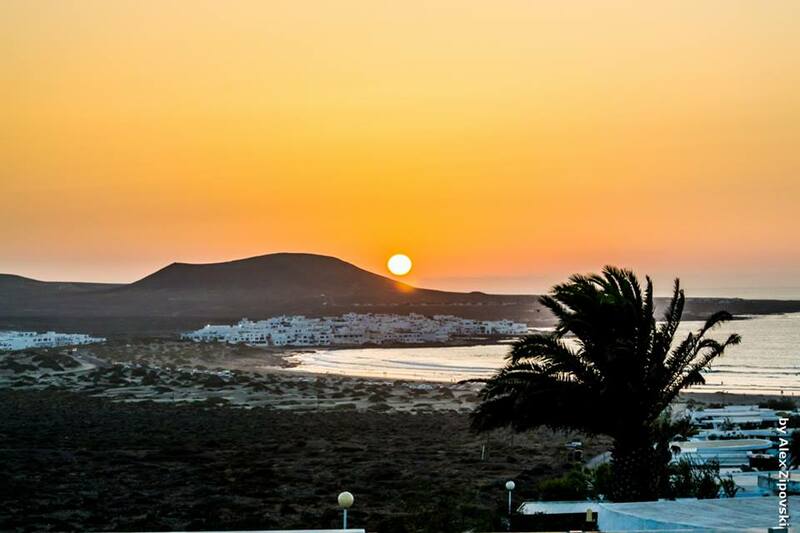 Lanzarote is often called the European Hawaii by many surfers of the world. 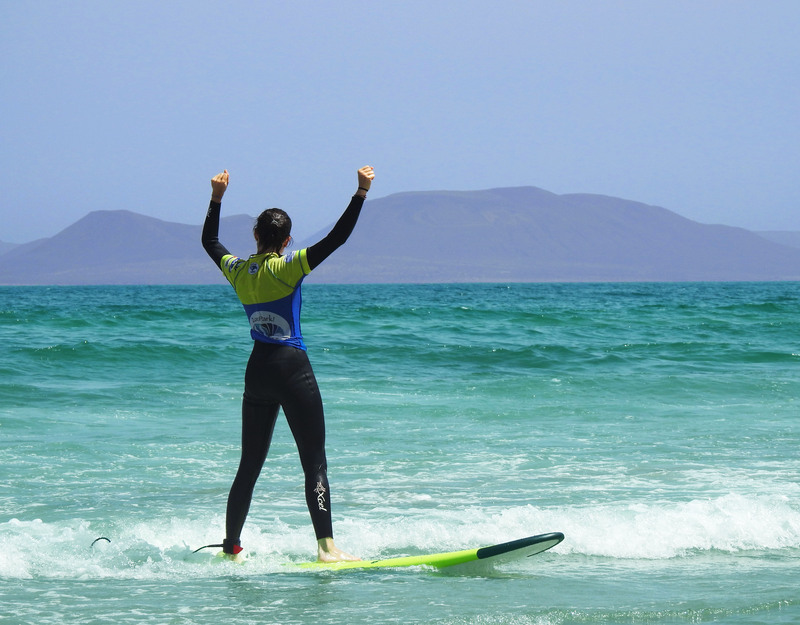 If your goal is to learn surfing, then our school is your choice. Sign up for one of our Surf courses and catch the first wave of your life or improve your surfing if this is not your first time. We assure you that starting from that moment nothing will ever be the same. We make it our purpose to make the students of our Surf School put their feet on a surfboard with full awareness of what surfing is and to do it with respect to the seas and oceans of our planet as well as to other surfers with whom they will share waves and experiences in the future. 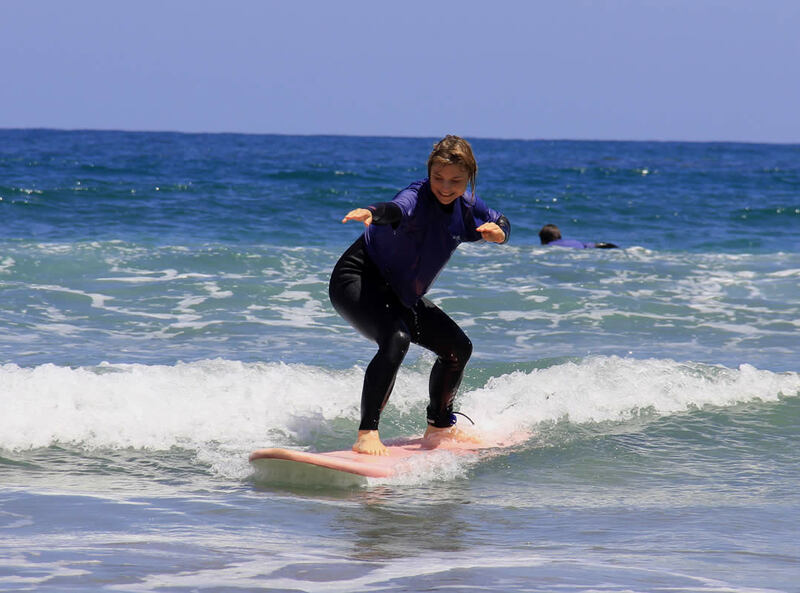 In our Surf School you will be introduced to this thrilling sport in a safe, easy and fun way by real surfers who will pass on to you all their passion and experience, no matter if you are only starting to surf or improving your skills. 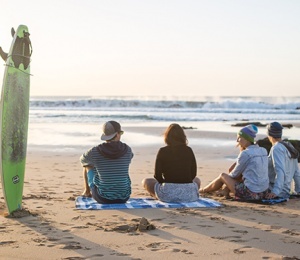 Apart from brilliant instructors, we offer the best surfboards on the market, specifically designed and selected to ease your way into surfing and of course give you the opportunity to improve faster. 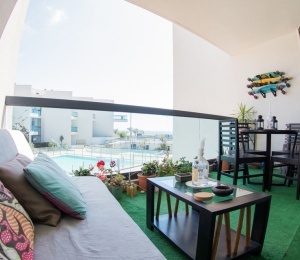 3 large surf houses located in a quiet residential area in La Caleta de Famara, just 100 metres from the beach, and a few steps from everything. All is new and perfectly conditioned: plasma TV, big kitchen, BBQ + chill-out area, and Free WIFI !!! 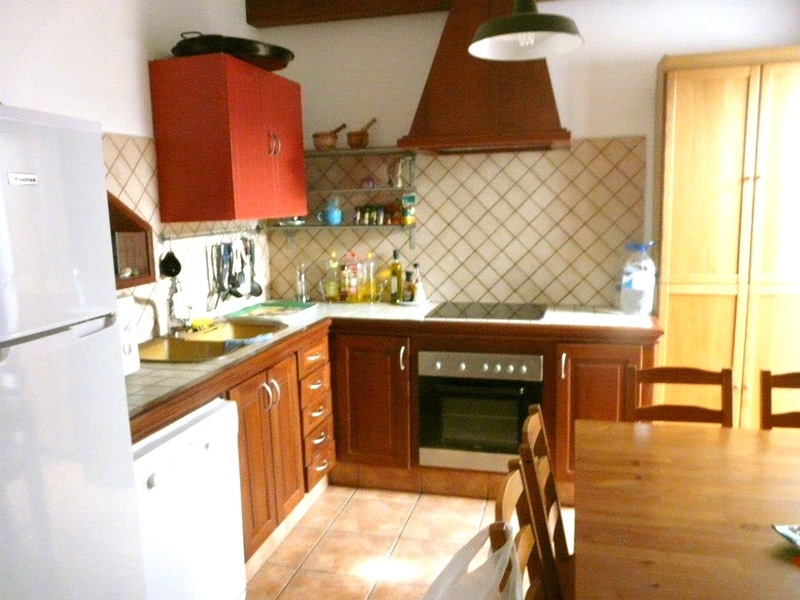 Nearby the house you will find all services such as restaurants, supermarkets our surf school and our surf shop. Everything is a few steps away. 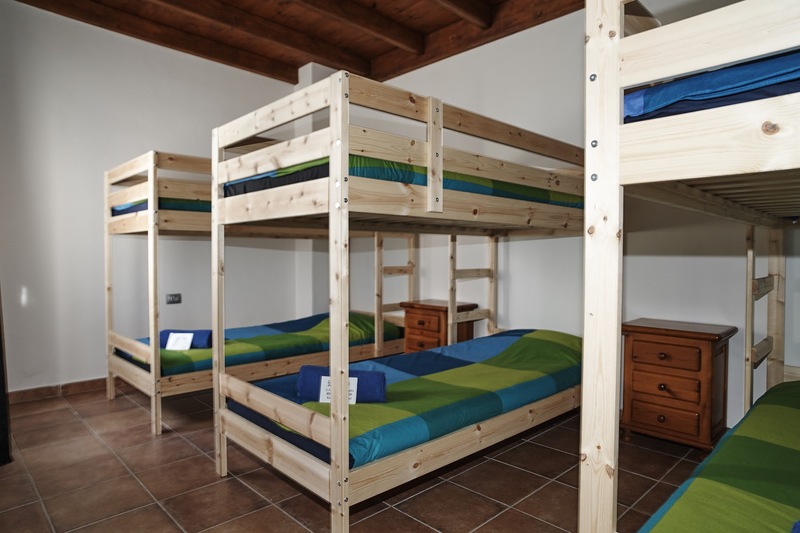 Daily cleaning service of all common areas (not bedrooms) and bed linen and towels are of course included on the offer. 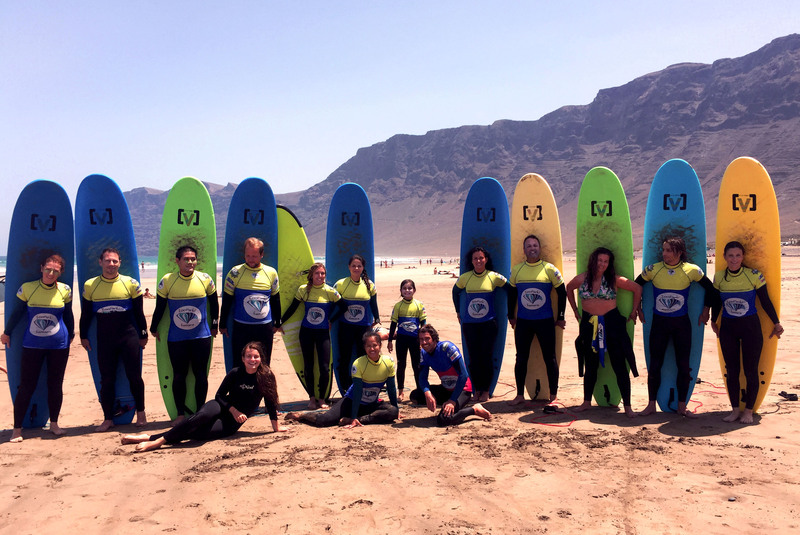 We are an Official Surf School recognized by the Canary Island Surf Federation, Spanish Surf Federation and International Surfing Association. 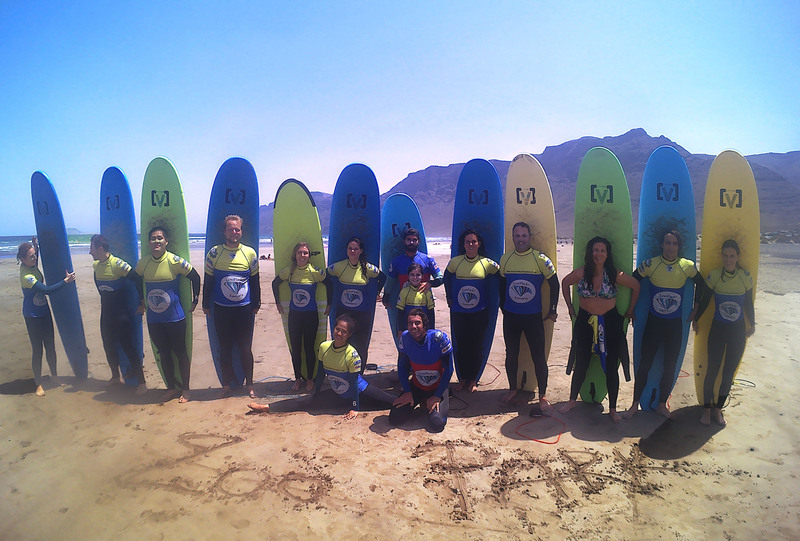 Besides, all our surf instructors are fully certified and speak several languages. 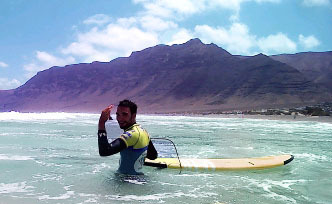 We deliver our surf courses in best conditions. All our equipment is new, we have over 200 boards of the best quality brands, of all sizes and shapes, and Hawaiian Excell wetsuits. Our surf lessons are 5-hour long from 10:30 to 15:30 with a lunch-break (picnic on the beach included with lessons) at midday. 1. - Warming up and stretching following the principles of Yoga. 2. - Explanation of some exercises on the sand & theory of surf. 3. - Implementation in the water. 4. - Correction on the sand, explanation of more exercises and over the water. 5. - 30 minutes break to invigorate and have the free picnic (to make classes more dynamic less stressful and don't make you paddle like crazy for 5 hours). 6. - Return to the water to continue with exercises and corrections. 7. - Surfing on your own with the supervivisión of teachers to try to put into practice everything learned in the morning. 8. - Back to school from the beach (Free shuttle service). We deliver surf lessons for all levels. 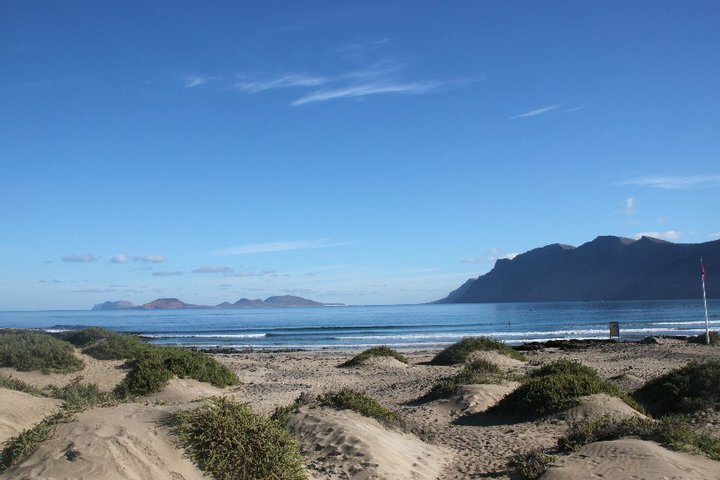 Our surf lessons are mainly in Famara that is a spectacular 4 kms risk-free sand bottom beach perfect for beginner and intermediate surfers. 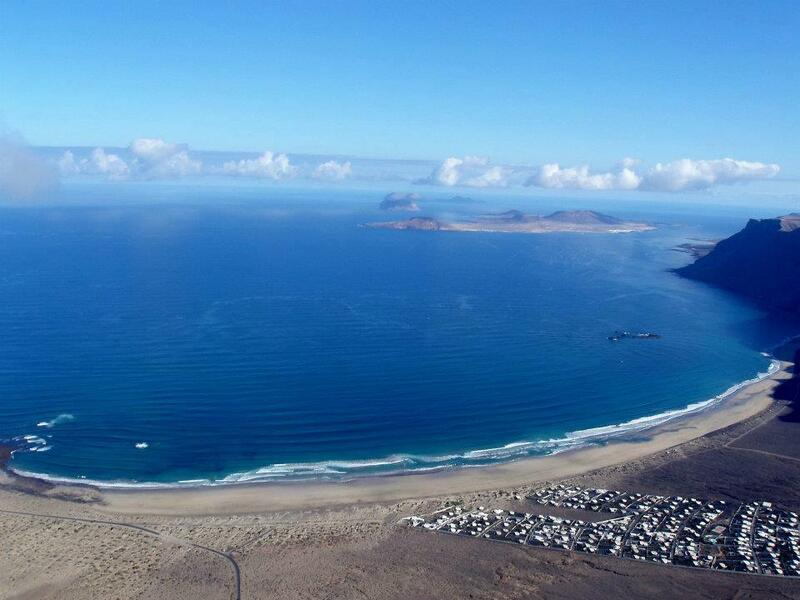 For most advance surfers we can organize surfaris (surf trips) to surf Lanzarote best waves. But this spots are reef-breaks and not easy so we always check each surfer skill and surf level before we take them to any other surf spot in Lanzarote. Only suitable surfers will go on this surfaris. SURFINN © 24-04-2019 06:26:01. ALL RIGHTS RESERVED.